A rug can style and beauty to any room, whether it's a family heirloom or a piece you've spent great time and expense on, in an effort to add the 'finishing touch' to a particular room. But all of us have heard of at least one nightmare story, involving a rug that has accidentally been ruined whilst being cleaned. That's why you need reliable professionals to do the job. Look no further. 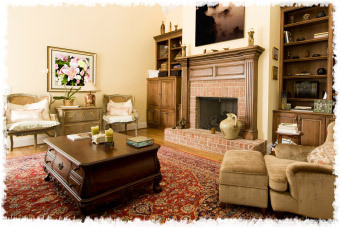 Here at Rug Cleaning Manhattan, we understand just how important a rug is to its owner, which is why we offer quality care, in the form of a comprehensive cleaning service. From the moment we collect your special piece from your doorstep, to the moment we deliver it back to you, we promise that it will be in good hands. We follow an all-inclusive procedure, consisting of several steps, all designed to have your rug looking good as new in no time at all. Step One: After picking up your rug, it will be taken to our factory where it will be inspected carefully for stains, spots and any other pre-existing damage. Step Two: We will thoroughly vacuum the rug, so as to remove as much loose soil and as many dust particles as possible. Step Three: We will then wash and rinse the rug carefully, using environmentally-friendly, non-toxic cleaning and enzyme cleaning solutions, which are gentle on your rug but uncompromisingly tough on dirt. Step Four: Afterwards, we will remove all excess moisture from your rug, using dehumidifying techniques, before drying it in a warm, climate-controlled room. Step Five: The rug will then have its fringes combed and pile groomed, before a final inspection. It will then be delivered back to you, free of charge.